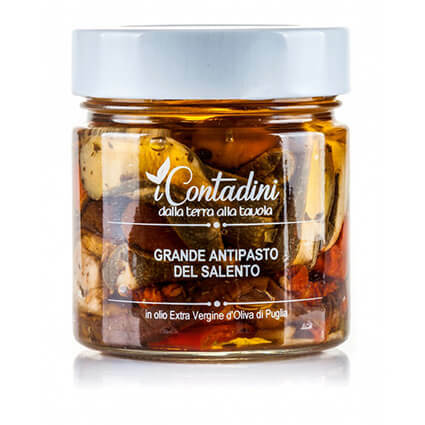 Traditional apulian in oil products are undoubtedly in our large assortment of specialties that are famous all across our Country. 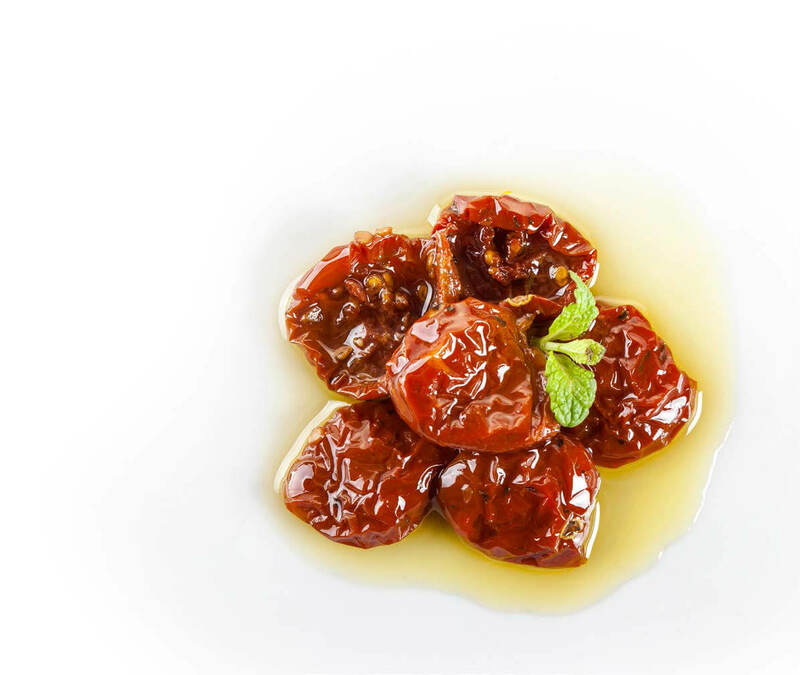 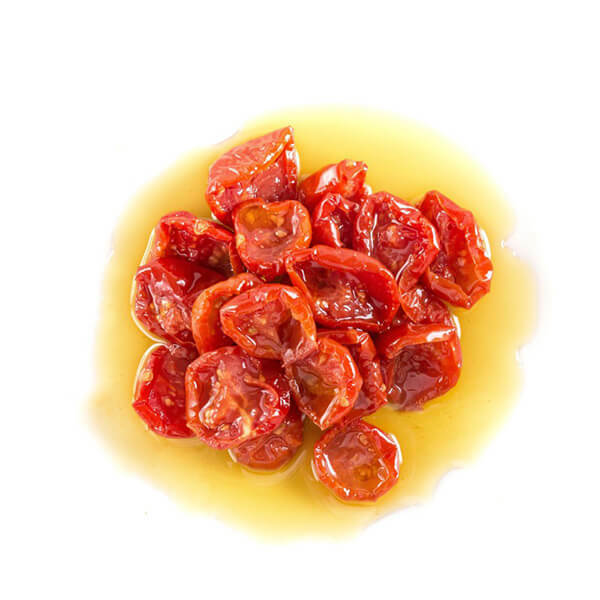 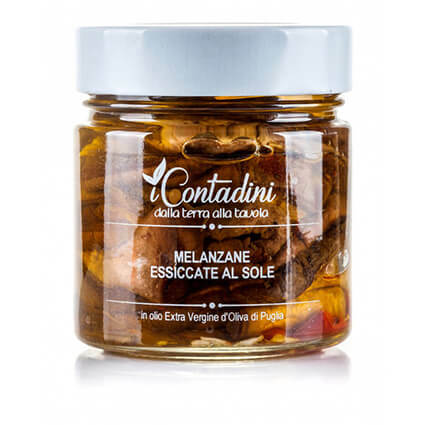 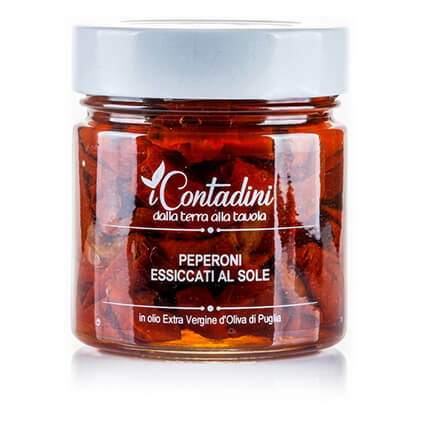 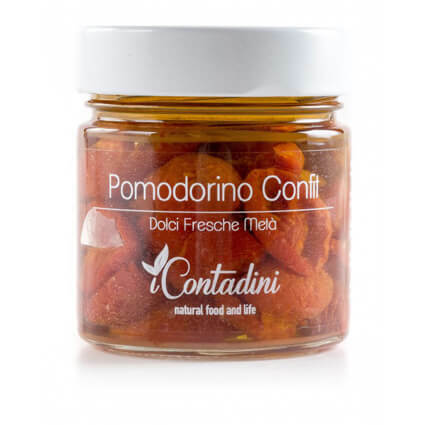 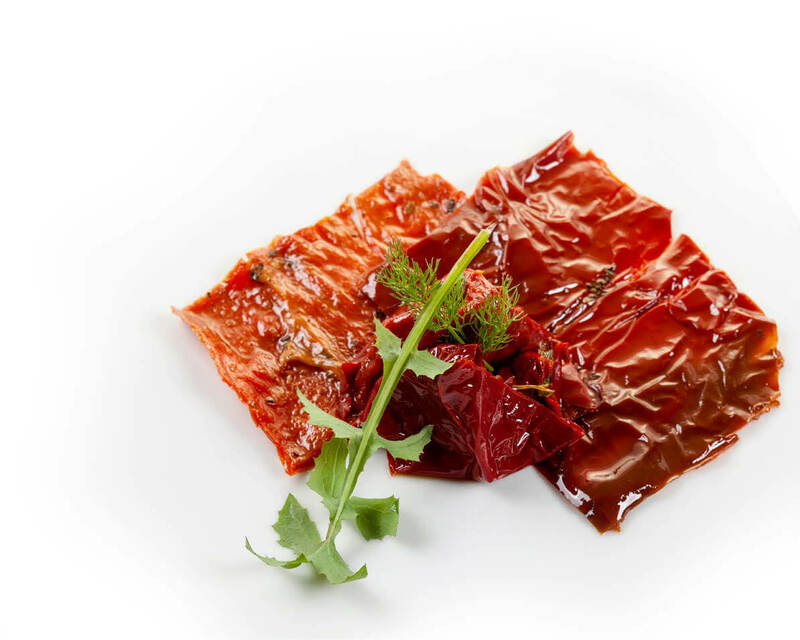 In This section you can browse and purchase our best handpicked, sundried vegetables kept in oil. 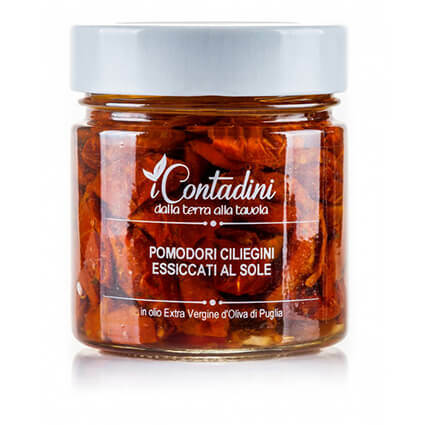 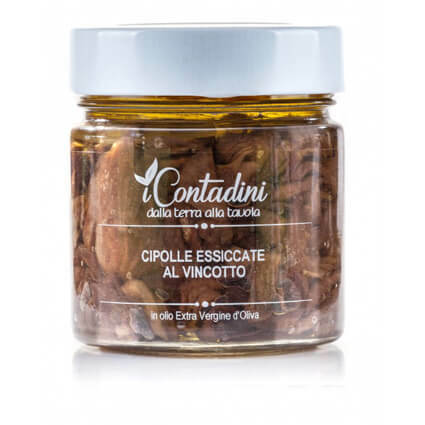 I Soleggiati is a section of handpicked vegetables cultivated by hand and treated in our region from our agricultural company called “I Contadini” situated in Felline. 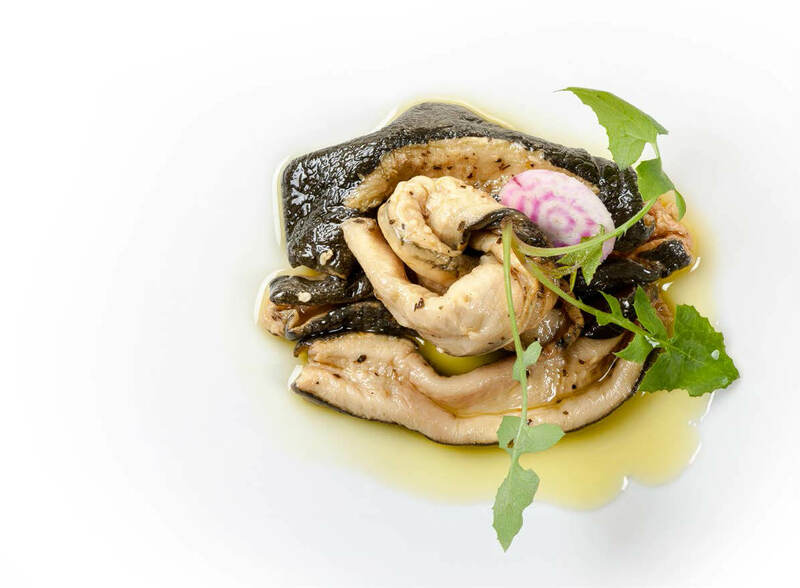 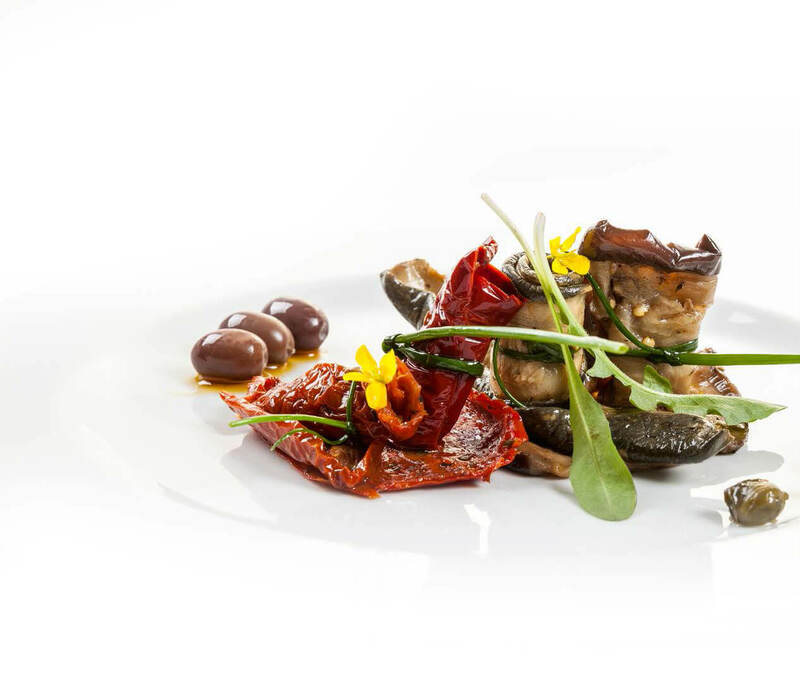 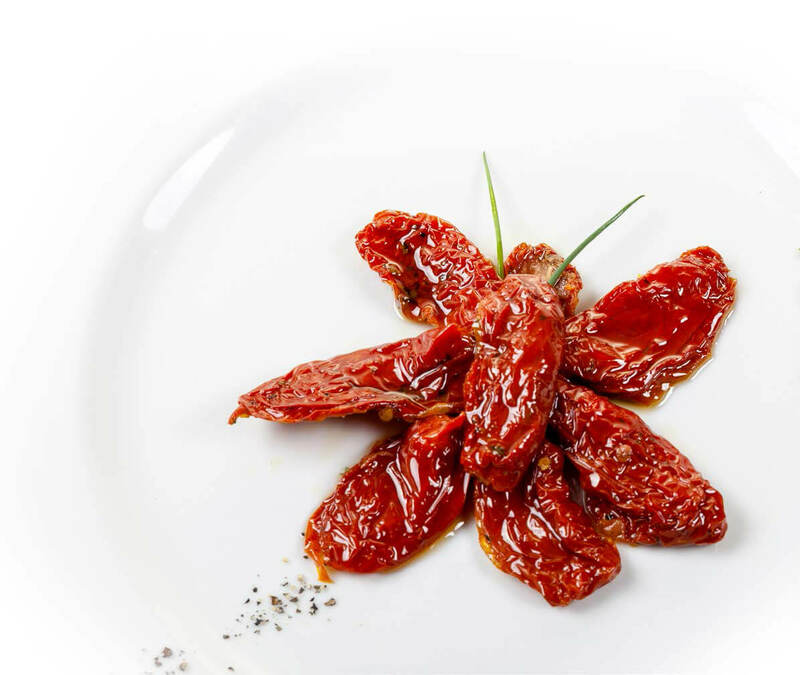 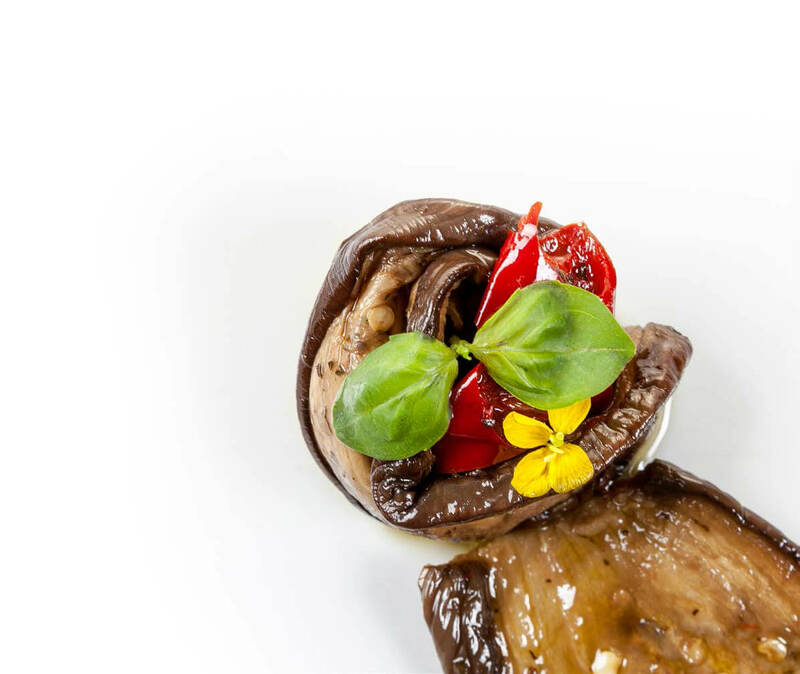 The vegetables are treated following scrupulously our traditional recipes to be sure to preserve their peculiar apulian sundried taste without the need of any additives. 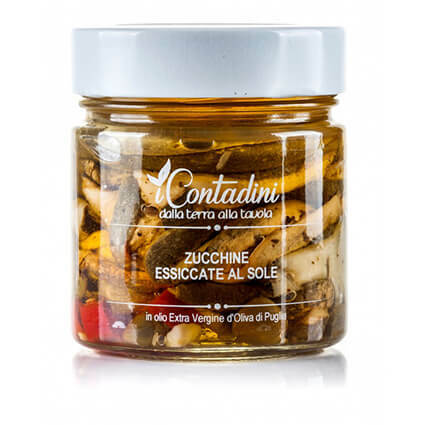 Zucchini, peppers, tomatoes, eggplants and the fabulous “vincotto” flavoured onions. 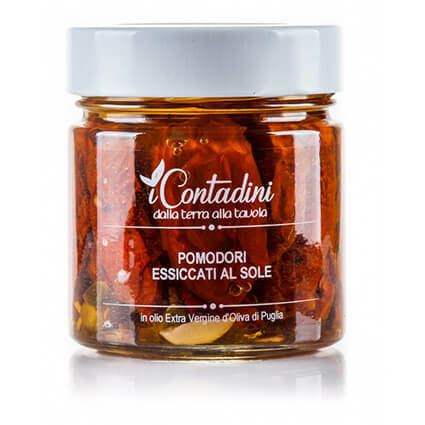 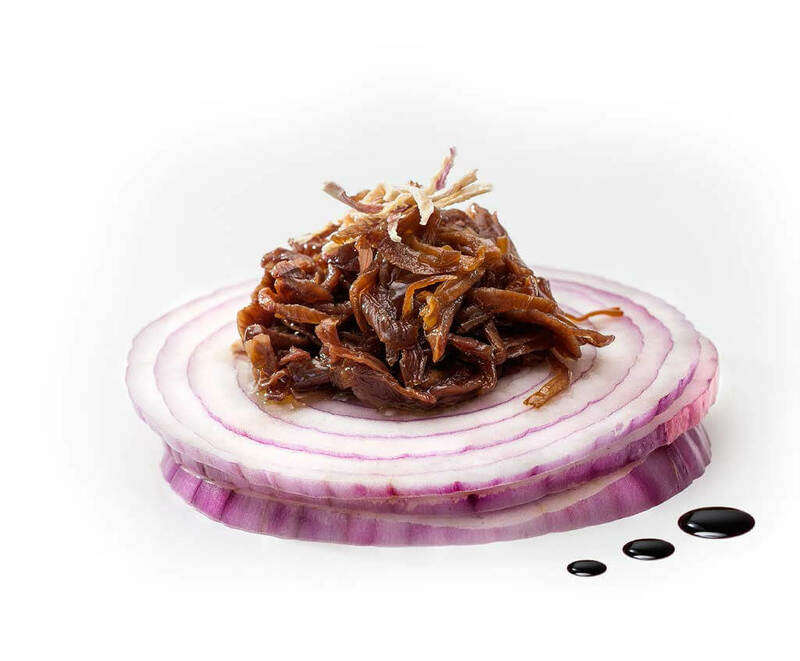 These are products that can be consumed as they are, or they can be used to compose your very own dishes with our quality and traditional flavors.